In some Asian cultures the cherry blossom flower is a symbol of beauty and new beginnings, so it's no wonder that the cherry blossom theme continues to be so popular for weddings, showers and birthday parties. 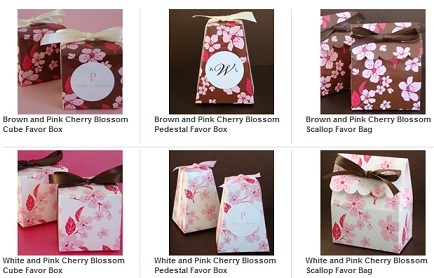 We have designed an elegant little favor box featuring a modern brown and pink cherry blossom motif that is irresistable! Patterned favor boxes are a delightful way to package favors and other treats for your special guests. Please note that boxes are matte white on the inside and have a glossy coating on the outside of the box. 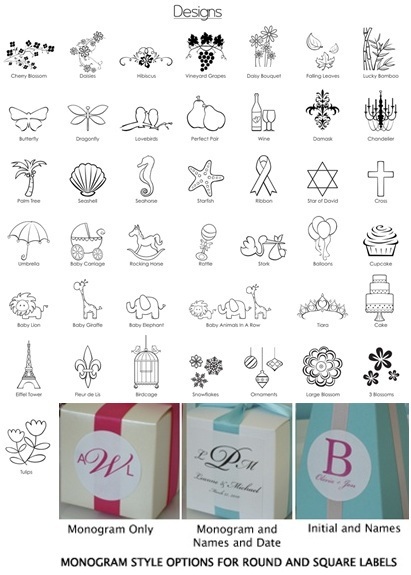 Personalized labels may be added for free.